Rutin is a bioflavonoid composed of quercetin and disaccharide rutinose that can be found in various leafy greens and citrus fruits. Its known for its powerful anti-inflammatory, antioxidant, cardiovascular, and nervous system health properties. Research shows that rutin may have potent anti-diabetic and anti-cancer effects. Diets that contain these rutin rich foods can provide a number of health benefits. Supplementation of rutin when quality food options are not available is also a great way to increase the intake of rutin. 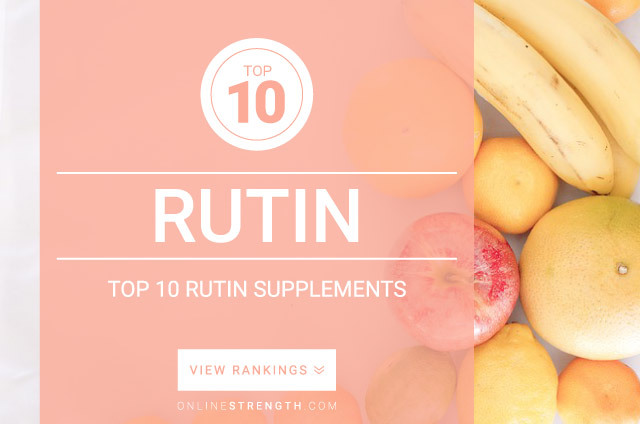 Rutin is said to be well tolerated and safe according to research studies. Common oral doses of Rutin: 500 mg – 2,000 mg per day for up to 6 months of consistent use. At this time there is not a optimal dosage guide line to follow. We would suggest following your products supplementation directions for best results.